Hugo Manuel’s vocals have never shown this level of precedence in Point of Go as in previous works, spanning from the lo-fi One Hundred Suns to the folk ambience of Sunny Casinos. Ever since joining Oxford’s Blessing Force collective, the members of Jonquil have not only reinvented their lineup and recording process, but they also seem to extend an unrevealed limb for pop in the gestalt of their songwriting. The electronic haze of “Getaway” is curtained precisely over simple, yet moody piano chords and mobilized percussion. 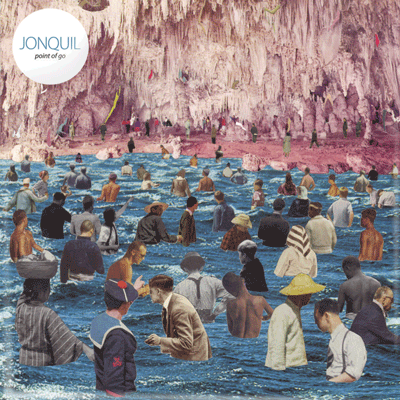 Jonquil’s newest single, “It’s My Part,” boasts a stunningly gratifying catchiness from the first licks of electric guitar. The song’s lyrics may very well paint a picture of stage fright, which evolves into a self-realization arising as if spontaneously. Point of Go is a collection of jams more than suitable for driving towards a neon sunset, and should leave fans old and new eagerly speculating where Jonquil will end up next.